On April 7, Detroit emcee Finale will be releasing his debut album, A Pipe Dream And A Promise via Interdependent Media. Fresh off a string of successful shows at SXSW in Austin, TX, Finale will be hitting the road again to promote and support the new album, performing spot dates around the country throughout April and into May. Although not an official tour for A Pipe Dream And A Promise, fans will have a chance to see Finale perform tracks from the new album, which has already garnered strong reviews. 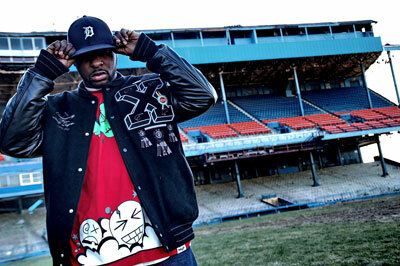 Accompanying Finale for a number of the dates will be fellow Detroit emcee, Invincible, whose long-awaited 2008 offering, Shapeshifters was met with high acclaim. Finale, who is renowned for his intense live shows, looks forward to the upcoming dates. "I'm excited about hitting the road steadily again. It's going to be dope because most of the dates are with Invincible." In particular, Finale is excited for his album release party because of the NYC-centric line up, including DJ House Shoes, 5 Ela, Niacal Youngstarz, and many more artists who will be performing at the show. 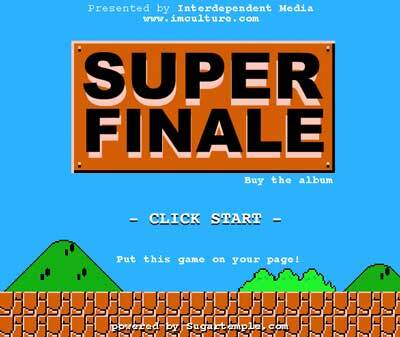 Finale recently released Super Finale, an innovative, Super Mario Bros-themed video game, starring Finale as the main character, in which fans can win track the track "One Man Show" from the album upon completion of the game. A Pipe Dream And A Promise features production from J Dilla as well as Nottz, Flying Lotus, Oddisee, MPhazes, and Black Milk, who produced the album's lead single "Motor Music." Before making his entrance into hip-hop, Finale worked as an automotive engineer promising to one day follow his dream of becoming a rapper. Making the rounds at local Detroit open mics and emcee battles, Finale began to mingle with local talents like Guilty Simpson and One.Be.Lo. After emailing some joints back and forth with J Dilla, Finale finally met him backstage at the DEMF (Detroit Electronic Music Festival), where Dilla introduced him to Madlib, saying that he was one of the best in the game. “It was an honor and definitely a defining moment," says Finale. After realizing his passion and talent for hip-hop, Finale decided to finally quit his day job, follow his true passion, and make music a full-time career. After a handful of Fat Beats released singles, an album released with European producer Spier 1200 as a part of The Rawkus 50, and numerous appearances on independent releases from Invincible, eLZhi and others, Finale's official debut LP, A Pipe Dream & A Promise, will be released in stores and online on Aptil 7th via Interdependent Media. Web editors contact Nora for interview requests. Print editors contact Michelle.